The days are getting warmer, the sun is staying out longer, and you are pulling your summer clothes out for the season. The only problem is, your winter skin is about as reflective as a stark-white piece of paper and you are suddenly left longing for that sun-kissed look. 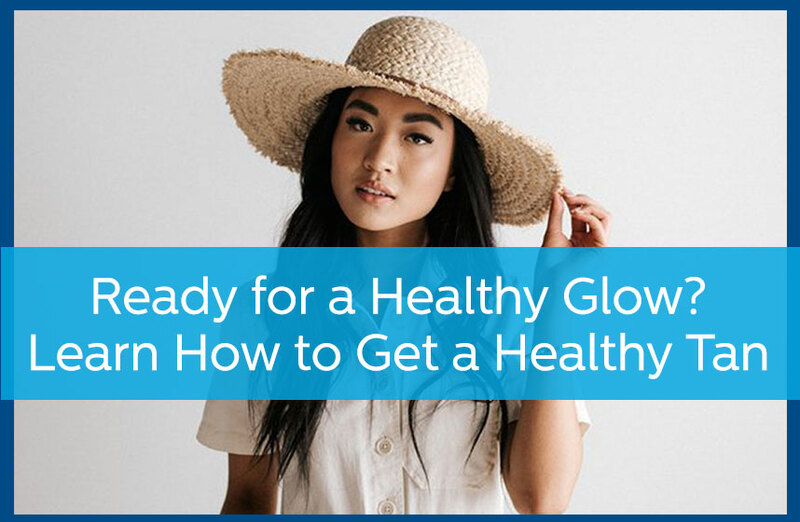 If you are like a lot of people looking for a tan, you will go to great lengths to get that bronzed hue before summer settles in, but some ways of getting tan are not so healthy for your skin. Here are a few things you need to know about getting a healthy tan. Are There Ways People Can Achieve a Healthy Tan? Exfoliate your skin before heading out into the sun so you tan evenly and don’t have to stay in the sun longer to see even effects. Wear sunscreen to block harmful UV rays. Wearing sunscreen is often thought to prevent tanning, but you are still exposed to the sun, which means you can still get a tan while wearing it. Don’t spend too much time in the sun trying to get tan, and pick the right time of day. Between 10 a.m. and 4 p.m. is when the UV rays are the strongest, so try to tan outside of this window. When you do go into the sun, try spending only 30 minutes to an hour outdoors per day. Protect your face and eyes by wearing a hat and sunglasses. Skin cancer is more likely to develop on the face, neck, and ears because this skin is more delicate. What are Mistakes or Bad Practices People Are Doing to Get an Instant Tan? Spend a full day in the sun unprotected in hopes of getting a tan in one day. Spend long amounts of time in a tanning bed or go to the tanning bed multiple times a week. Head out into the sun without any protection, such as high-SPF sunblock, sunglasses, or a hat. Doing these things may help you get a tan faster, but they can also cause a lot of damage to your skin and up your chances of developing some forms of skin cancer. A survey conducted by the American Academy of Dermatology showed that 80 percent of 7,100 respondents did have concerns about skin cancer. If you would like to know more about getting a tan safely, reach out to Avail Dermatology for more information.